your own areas of interests: art, history, engineering, shopping, gastronomy, photography, etc. 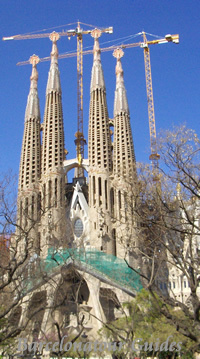 your specific requests: Gothic District, Antoni Gaudí's Works, Museums, etc. your pace: fast or slow walker, family with children, seniors, etc. and your agenda: flying in / out, starting or ending a cruise, business meetings or corporate events, etc. Arrange your own private shore tour of Barcelona. 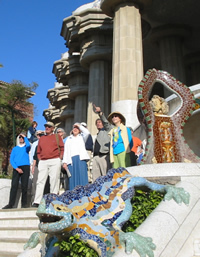 We´ll be happy to attend your customers -not only offering them our guided tours of Barcelona, but also attending them on tours or activities already designed by your agency. Besides Licensed Tour Guides in several languages and Transport with comfortable vehicles of all sizes, we also provide assistance with hotels and restaurants to our tour customers (only) at no extra charge. Our lean infrastructure makes us quite competitive and our hands-on experience as tour guides makes us quite efficient. Let us help you make the most of your clients’stay in Barcelona. 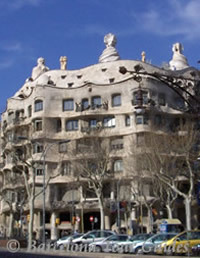 Feel free to contact us for any inquiry about our services or your stay in Barcelona.